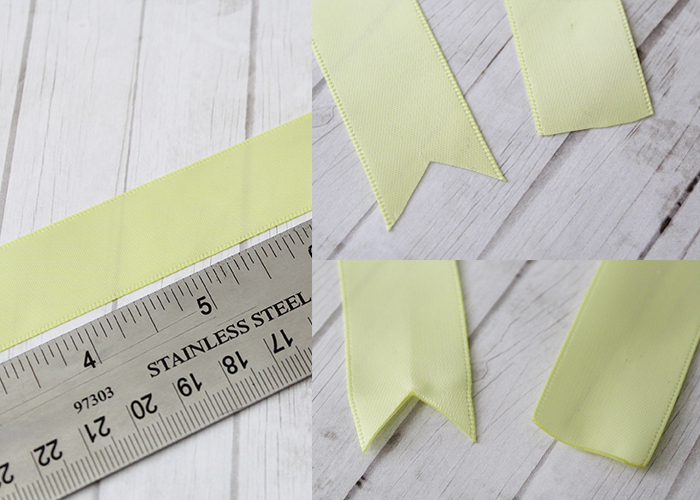 Today I’m sharing this Ribbon Bookmark Tutorial! 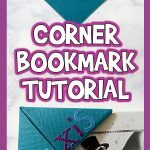 These elegant bookmarks are easy to create, make beautiful gifts, and you can make one in only 10 minutes! Let’s get started! 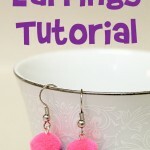 Related: More printable bookmarks & bookmark crafts here! Thin elastic. You can also use a hair tie. Fray check or a candle. To seal the ribbon edges. Start by cutting the ribbon for your bookmark. A standard small book will need about 20 inches. Larger, thicker books will need 20-26 inches. If you’re not sure, measure around your book and subtract 2 inches, since the elastic will stretch. 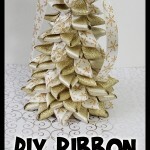 Cut one end of your ribbon flat, and the other end can be flat, or a decorative banner cut like shown above. Finish the ends of the ribbon with fray check or use a heat source (like a candle flame) and pass the end of the ribbon near the flame to heat seal the ends. Set your ribbon to the side for now. If you’re using a hair elastic, you can skip this part. But if you’re using regular thin elastic, keep reading! 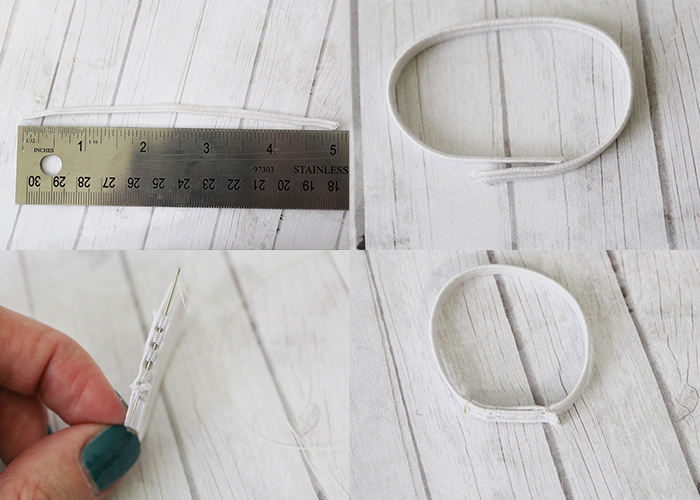 Measure your piece of thin elastic to 5 inches long. Overlap the ends by a half inch, and sew the ends together well. I used a basic running stitch, and then put extra knots at each end. 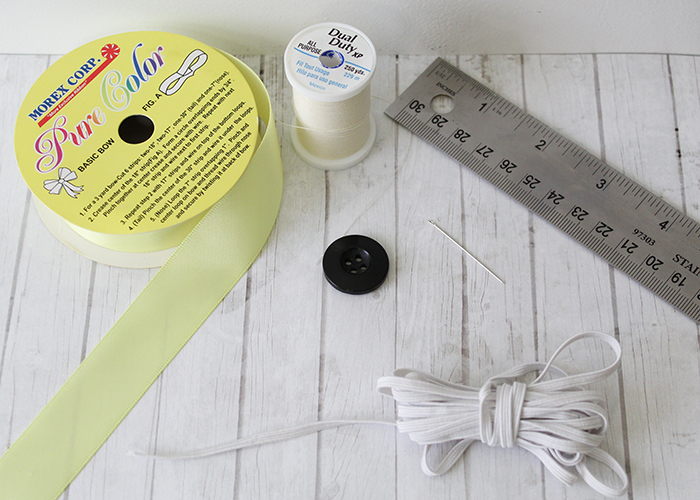 Take your ribbon, and fold the flat end over by a quarter inch. 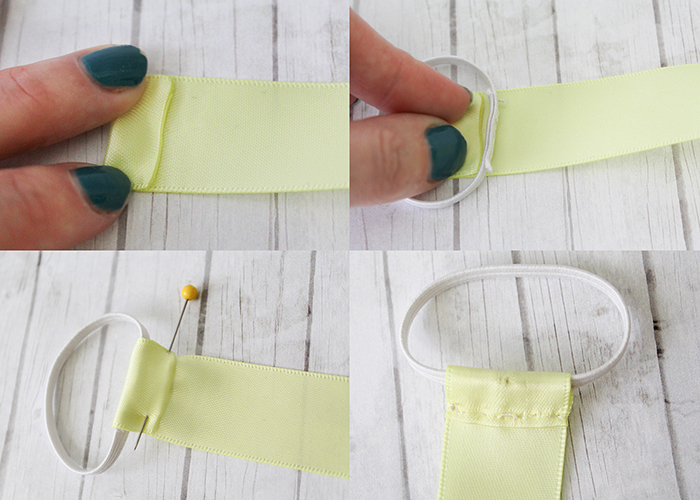 Place your elastic loop on the ribbon past the fold, making sure the sewn area is inside the ribbon. 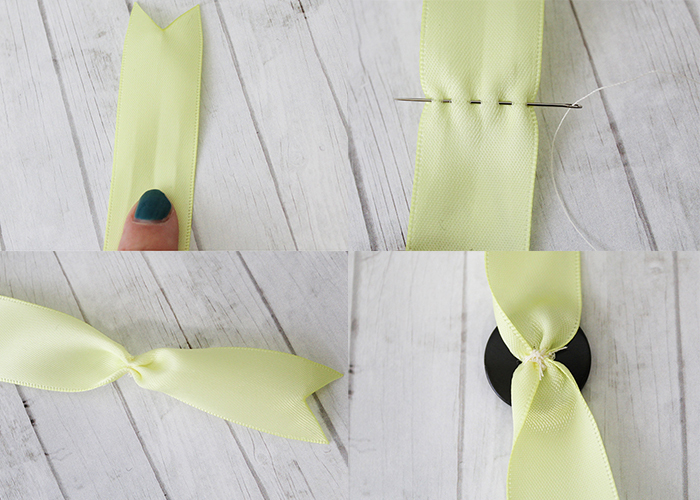 Fold the ribbon over the elastic, and pin it in place. 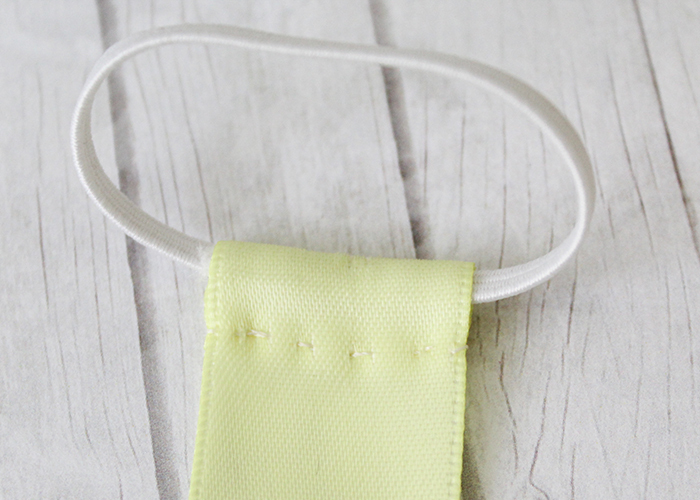 Sew the edge down to the ribbon with a basic running stitch, making sure to do an extra stitch at each side for strength. I also did two small stitches through the elastic, so the sewn part doesn’t come out of the ribbon. If you used a hair elastic, you don’t need to do that step. Here’s what the front looks like all finished. 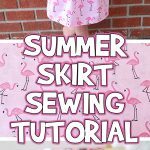 You could also do a decorative stitch if you have a sewing machine! Now let’s work on the other end of our ribbon! Find a spot about 1 1/2 inches down the ribbon, and run the needle through the ribbon, and gather it up. Then sew through the gathers a few times to secure. 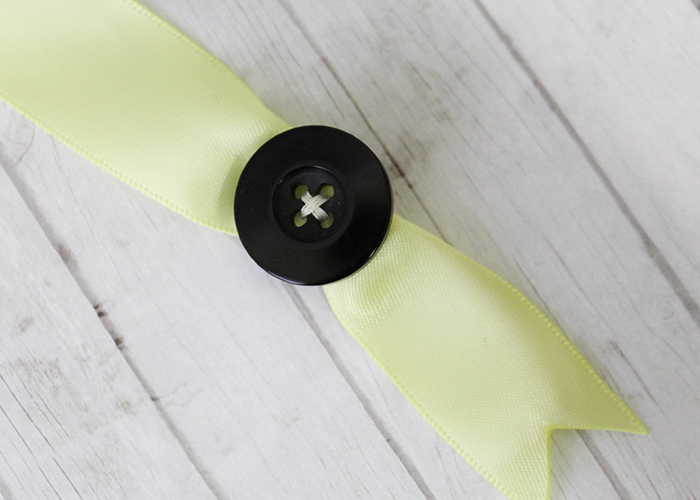 Take your button of choice, and sew it on directly above the gathered spot. Here’s what mine looks like! I like to repurpose things, so I used an old coat button. However, you can find all kinds of beautiful buttons to decorate your bookmarks with! Guess what? You’re all done. It really is just that easy! 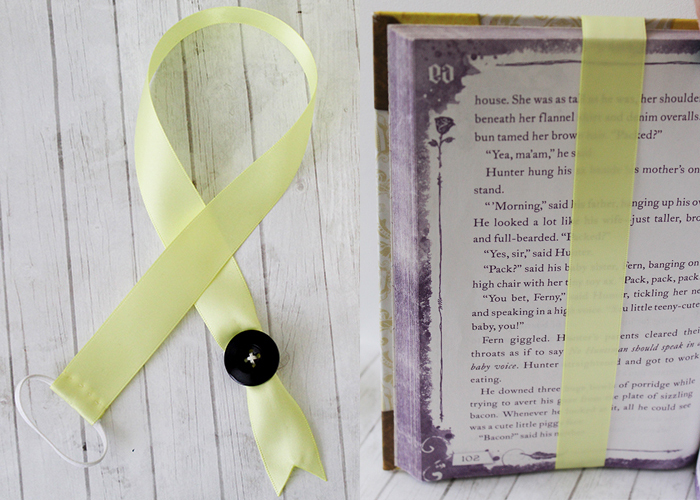 Here’s the finished ribbon, and what it looks like inside the book. I love how it holds the page nice and securely, and there’s no risk of it falling out like a traditional bookmark. Here’s how it looks! Isn’t it pretty? 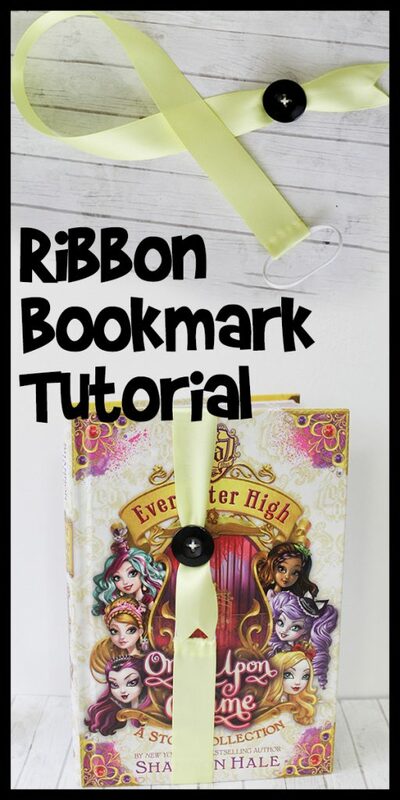 I hope you enjoyed this Ribbon Bookmark Tutorial. 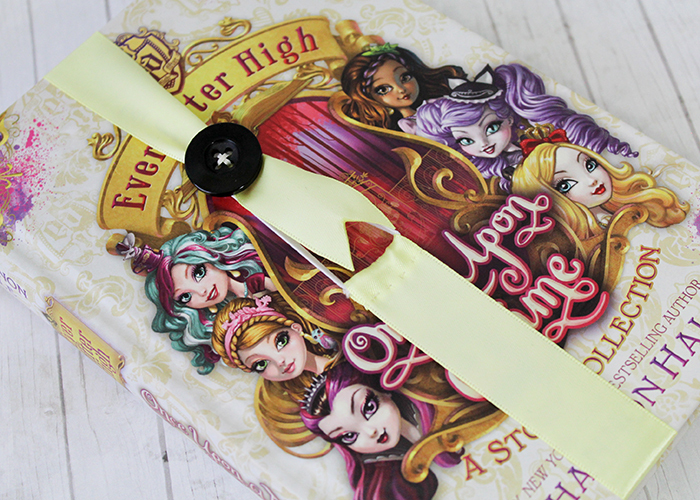 You can also customize your bookmark to the style of books you enjoy. If you like historical fiction, you can use lace ribbon and a fancy gemstone button. Science fiction could be a robot print ribbon and a square or geometric button. These are great to give as gifts, and so fun to make!